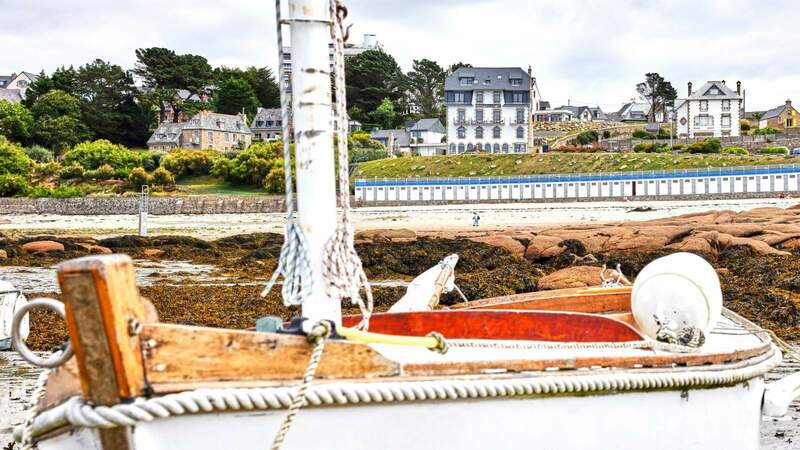 Pavillon de la Plage welcomes you to Trébeurden with views of the sea from the peaceful setting of a building dating from 1919, located on Brittany’s Pink Granite Coast and the Sentier des Douaniers trail (GR34). 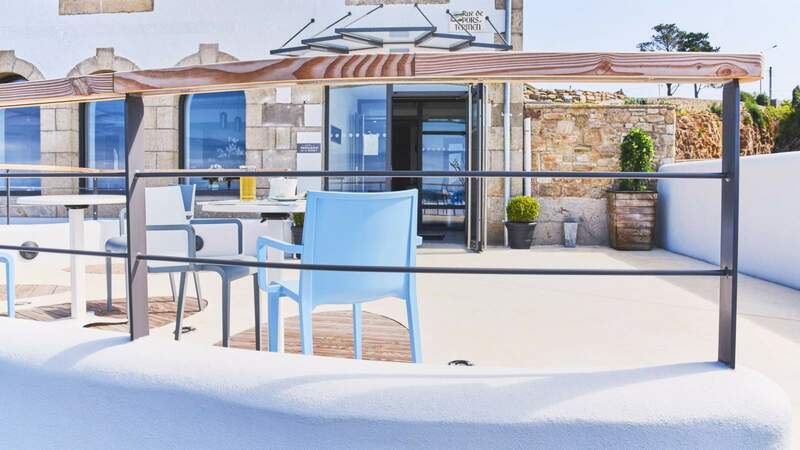 With an exceptional panorama of the natural elements and overlooking Pors Termen beach in an early twentieth-century architectural setting completely renovated in 2017/2018, the Pavillon de la Plage offers a vision of hospitality expressed in warm, welcoming, discreet and personalised services to ensure happy memories of your stay as a family, a couple, or for business. The Beach Pavilion has 20 comfortable and bright rooms. They all offer a sea view from the front or side including seven with a balcony or a panoramic terrace. Each room is inspired by the view it offers, after which they are named: île Milliau, île Molène, Pointe de Lan Kerellec, Pointe de Bihit and Presqu’île du Castel. For relaxation, the large hotel lobby and lounge evolve over the course of the day, variously serving as a breakfast area, a library with board games, or a lounge with chimney. A bar with a breathtaking view of the sea means you can contemplate the sunset at aperitif time. For the comfort of our guests, our charming hotel offers a Wellness area equipped with a covered and heated 6 m x 2.50 m swimming pool and a Spa. 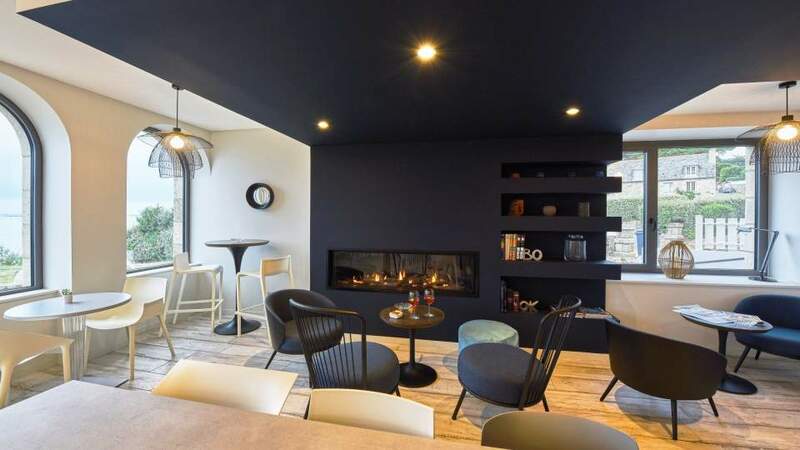 And because a stay in the hotel wouldn’t be complete without a walk on the beach or even a swim, the Pavillon de la Plage offers, just like the ski room in an Alpine chalet, a “back from the beach” space with shower and fitness room. 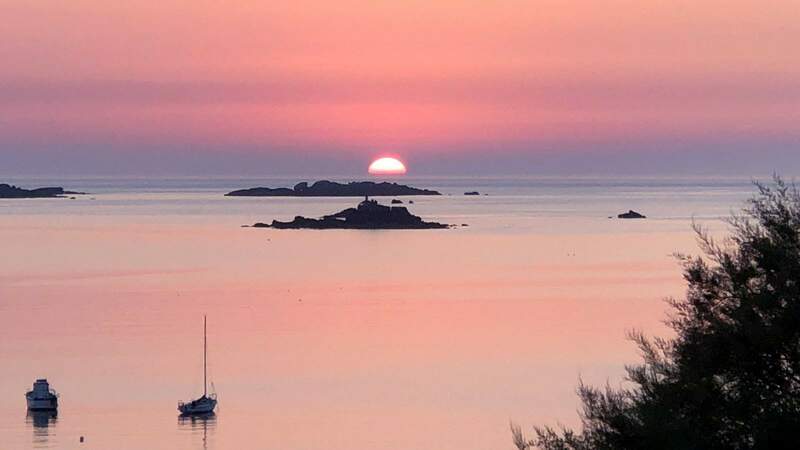 For a weekend or a longer stay enjoy our family hotel and discover tourist treasures of the Pink Granite Coast. Walks, hikes, water sports and discovering flora and fauna mean there is something for everyone. Beautiful hotel with cosy décor, warm and welcoming. Located close to the beach with sea view rooms. Quality services: nice spa, very good breakfast... Very relaxing stay overlooking a unique landscape! We spend a very pleasant time in this superb hotel. It felt like staying with family or friends. The hosts are very welcoming. We’ll be back soon.